Chalet located on the road to Gandia, about 700 meters from the sea. Spectacular views of the Montgo and Segaria. Large kitchen, living room and dining room. 2 bathrooms and a third third by the pool. It has a gym that can be converted into a small guest house with 2 rooms. Indoor pool. Summer kitchen with wood oven. 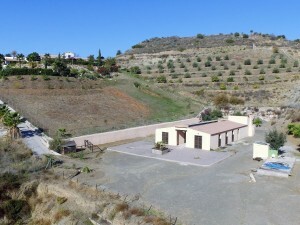 10400 plot with orange trees and variety of fruit trees. Very quiet, close to all the necessary amenities. Just a couple of minutes from Els Poblets and very close to Denia. With energy efficiency certification. Visit it today!